. I learned a lot about food and cooking In the early years of the Food Network when there were real chefs like Mario Batali and Emeril Lagasse, Jacques Pepin and Sara Moulton, and Julia Child reruns. And Alton Brown (before he became a cartoon character). Then the programming started getting dumbed down with the likes of Paula Deen and Rachael Ray and an irritating cavalcade of competition shows. I’m sure there is an evolving Food Network target demographic and I’m sure I’m no longer part of it. For me, Food Network jumped the shark with “Cupcake Wars.” Its competition show “Chopped” is one of the most joyless hours on television. Spare me the image of a prissy, sneering “Chopped” judge like Alex Guarnaschelli sniffing haughtily at a plate of ingredients no sane cook would ever willingly combine or of Scott Conant going into a bitchy snit because a cook used red onions. I love red onions. And I like them raw. I haven’t made the pilgrimage to Kinston but I did have the pleasure of eating a Vivian Howard meal last summer at a Friends of the Cafe event at the Alabama Chanin factory in Florence. It was an amazing and creative meal and an all-around special evening. At the end of the evening we diners all stood and sang “You Are My Sunshine” to Chef Howard. “A Chef’s Life,” the series, is also a special kind of food show. In each episode Vivian Howard explores a traditional Southern food by going to the farmers and purveyors and cooks and learning the traditional methods for the ingredient. She then adapts what she learns into a special dish for the restaurant that is inspired by and pays homage to the ingredient and tradition she has researched and shared with her audience. 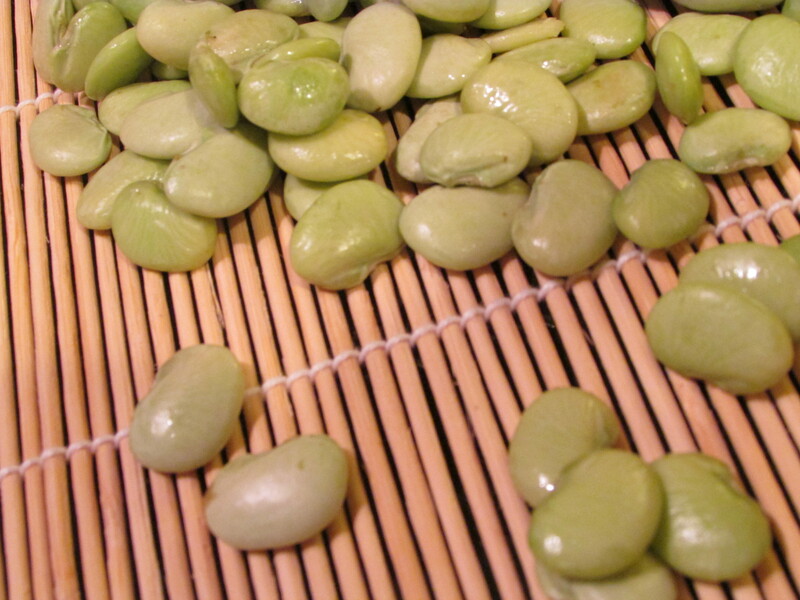 I recently saw an episode of “A Chef’s Life” in which the featured food was butter beans, which are just baby green lima beans. 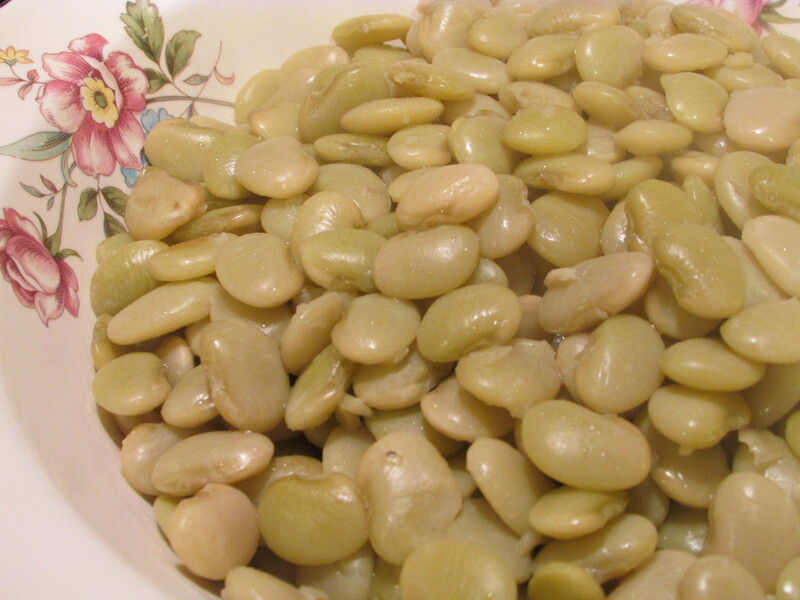 I grew up eating butter beans, usually in a succotash, but they have never been a favorite. Vivian Howard was using them to create a “butter bean burger” as a vegetarian option for the Boiler Room, an oyster bar / burger joint she and Ben opened in an alley around the corner from The Chef and the Farmer. Based on the show, I get the impression that butter beans are quite popular in Kinston. The butter bean burger looked delicious and, for perhaps the only time in my life, I started craving butter beans. When I was at Pepper Place farmers market on Independence Day morning and saw fresh shelled butter beans I grabbed a couple of bags. Later that day, as we discussed the menu for dinner on the 4th, Mother declared that she wasn’t in the mood for barbecue, Dad was sick and not eating, and I didn’t care what we ate, really. So we ended up having steak and fresh vegetables. When I offered to cook some of the butter beans I had just bought, Mother said that she had never been a fan of butter beans and passed so I drove home on Sunday with two bags of butter beans to play with. As delicious as the butter bean burgers had looked, I wasn’t ready to make that kind of commitment to my Sunday dinner so when it was time to prepare the meal I poured a bag of the plump little beans into a sauce pan, covered them with chicken broth, and added a pat of butter. I decided I would keep it simple to reacquaint myself with the beans in their simplest form since it has probably been at least twenty years since I ate butter beans. I kept the beans on low heat while I prepared the rest of the meal and then, just before I removed the beans from the heat, I seasoned with just some salt, freshly ground pepper, and a drizzle of olive oil. No more doctoring was necessary. The beans were tender and juicy with a fresh and mellow taste and just a bit of firmness left in the almost mushy bite. They were a perfect accompaniment to my steak and simple salad. I might become a fan of butter beans yet. This entry was posted in "A Chef's Life", butter beans, Chef Vivian Howard and tagged "Chopped", Alabama Chanin, Alex Guarnaschelli, baby lima beans, Ben Knight, butter bean burger, butter beans, Chef Vivian Howard, Food Network, Kinston North Carolina, PBS "A Chef's Life", Scott Conant, succotash, The Boiler Room, The Chef and the Farmer restaurant on July 7, 2015 by gedwardjourney.